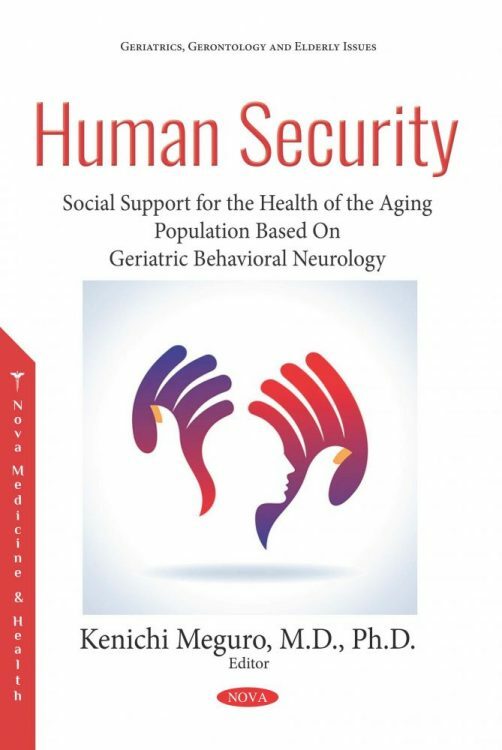 As an objective of human security, it is important to understand the social system and to make more appropriate policies for people based on the bio-psycho-social viewpoint of health advocated by the World Health Organization (WHO). For countries with increasingly large populations of older adults, aging-related disorders cause many social handicaps. A comprehensive approach for integrating not only medical, but also psychosocial and spiritual viewpoints is needed for better health policy planning. During a risky situation such as a major disaster, which can critically affect peoples’ lives, people should utilize their brains more fully in order to survive; i.e., to understand the situation around them, to make a proper judgment call, and to choose their behaviors. All of these approaches are associated with brain functions. Understanding the situation primarily requires the posterior part of the brain, especially the parietal lobe. Briefly, the occipital, temporal, parietal, and frontal lobes are related to visual, auditory, other sensory, and motor functions, respectively. Each lobe has primary and secondary areas: The former is associated with primary function, whereas the latter is related to association functions, which add “meaning” to the primary information. In particular, visual and auditory information should be fully integrated to understand the situation and make a judgment call, which is the function of the parietal lobe. Human Security: Social Support for the Health of an Aging Population Based on Geriatric Behavioral Neurology is meant to help readers understand the bio-psycho-social viewpoint and bioethics of social support for elderly people. The second aim is to understand the social support system and Quality of Life (QOL) for handicapped and elderly people. Especially, the long-term care insurance system for elderly people in Japan, which is a well-organized system to support well-being in the elderly, needs to be understood. Also, dementia is one of the important age-related disorders that can affect not only patients themselves, but also their families, community residents, and society. The third objective is to understand dementia and dementing diseases, not only from a medical perspective, but in terms of psychosocial and spiritual aspects. Following the Great East Japan Earthquake of 2011, various cases of weakness due to the disaster were analyzed. Most of them were previously assessed as a borderline condition between healthy and dementia. Therefore, it is important to routinely screen community residents for security. All risky situations such as a disaster should be treated internationally. The author recalls that one student told them that the Indonesian government faces difficulties in preparing for a disaster with a unified language. Indeed, more than 700 regional languages are spoken in Indonesia’s numerous islands. However, disasters do not select a “language.” The author is certain that there are some lessons from their history that have not been recorded in a common language. It is important to establish a network based not only on local culture and language, but also a global proposal based on a common language. The author hopes that young scientists in the next generation will have an integrated perspective and will apply science to human security worldwide.